Nik Sharma’s first cookbook Season is so many things: It’s a food story, first and foremost. But it’s also an immigrant story, a family story, an origin story, a coming out story, and a love story. It tells a long and rewarding narrative about perseverance, one that seeks refuge in cooking and self-actualization in the kitchen. Unlike many cookbooks on the market these days, it has confidence in its context. To celebrate his story, I caught up with Sharma—the writer, photographer, and recipe developer behind award-winning blog A Brown Table, and now the proud author of Season. ERIC KIM: You once said to me, “Tamarind deserves more attention.” What did you mean? NIK SHARMA: I find tamarind to be a magical ingredient, but I’m also biased since I’ve grown up eating it as far back as I can remember. Tamarind does deserve much more attention than it gets, and I think a large part of the problem is how it’s labeled and sold. Descriptions matter! You’ve got the South Asian variety that’s typically described as “sour” and then the Mexican kind which is called “sweet,” then you will also find whole pods, dried and wet pulps, concentrates and pastes; and often these words get tossed around and used interchangeably. When I started to work on Season, I knew this was one topic I needed to address. To clarify and hopefully make it easier, I included a separate section on tamarind—the types, the forms, etc.—and how to extract it in the “Staples” chapter, along with photographs to make it easier to identify. Tamarind came to India from Africa centuries ago and became an integral part of many coastal cuisines in the country, but in India it’s treated as a souring agent and less as a dessert ingredient. We pick the fruit pods early when they’re unripe; at this stage the acid inside has not been converted to sugar and the pulp is used to acidify fish and shrimp stews (interestingly in Mexico they pick them a little later and they’re sweeter) and in a special chutney (more on that later). I use tamarind in a few places in the book to showcase its versatility beyond the traditional scenario of the Indian recipe: There’s a “caprese” tomato salad which uses tamarind to take the place of the classic balsamic dressing, the ginger tamarind refresher that’s a play on gingerade where the lemon is replaced by the tamarind, and then my date and tamarind loaf cake where tamarind takes center stage in a very unique way. My hope is that the primer on tamarind and these recipes help demystify the ingredient, so that home cooks can feel confident with it and even begin using it in their own cooking. EK: You write that your loaf cake is inspired by an Indian chutney (the one that always comes with samosas, right?). What made you decide to turn it into a cake? NS: Right. If you’ve been to an Indian restaurant there’s a high likelihood that you’ve tried this almost deeply dark red, beautiful, sweet-tart tamarind chutney served drizzled onto samosas. There’s a second version made with dates that adds an extra note of fruitiness which I love. 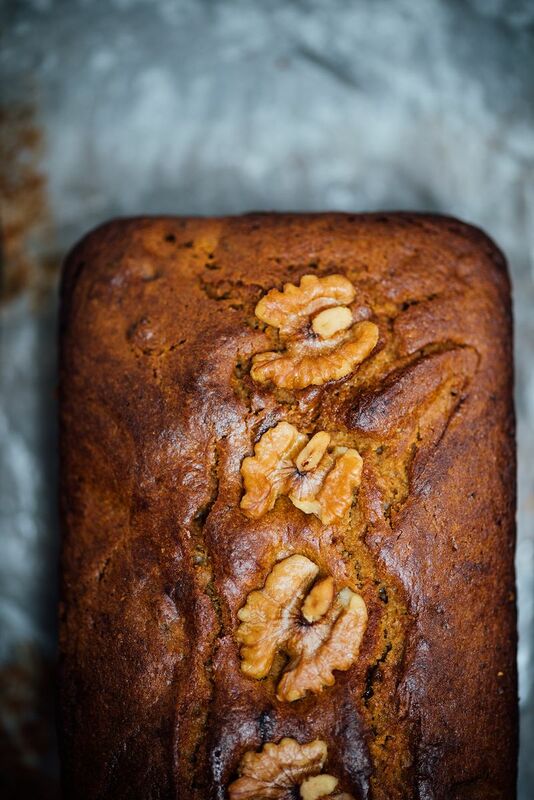 When I moved to America, I learned of spice cakes like pumpkin loafs, gingerbread cakes, and Marian Bull’s tomato spice cake (that I think Food52 had in their baking book a few years ago) that are eaten during the cooler months of fall and winter. The premise behind them is very simple and yet practical, using spices or ingredients that will make you feel warm. And that’s where this date and tamarind loaf cake comes into conception. 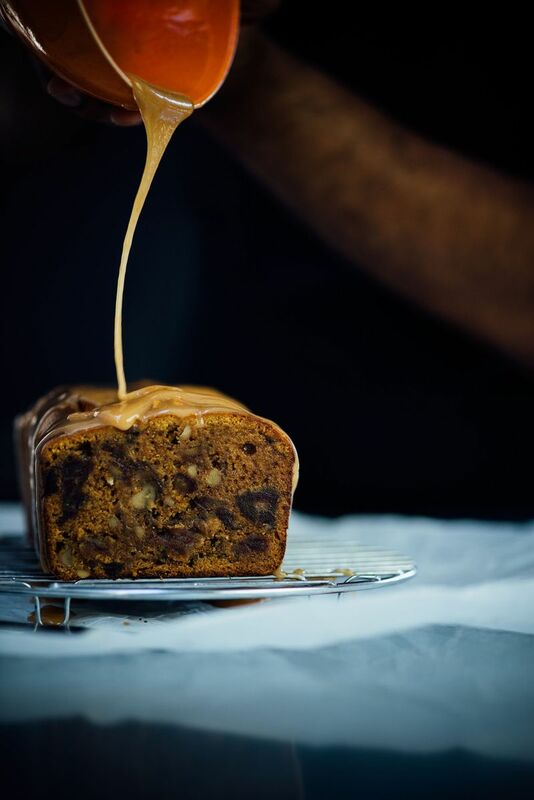 The sweetness of the dates and their soft texture, the brightness of the tamarind pulp, the warmth of ginger mingled with the glorious earthy sweetness of jaggery and the crunchy walnuts—they all unexpectedly yet harmoniously come together in this cake. But I also wanted the tamarind to stand out, and that’s where the glaze comes in, so that in every slice you get to experience and enjoy tamarind at different intensities of flavor. EK: The book is obviously a love letter to food; who else is it for? NS: Season is a love letter to my husband, but it’s also a special and intimate way for me to acknowledge and thank everyone who read my blog and column over the years. They’ve been there with me from the start. They’ve read my words, been there for me during the ups and the downs, heard me complain about grad school, celebrated with me when I got married, and listened to me rant on and on about cold weather. EK: I love your column in the San Francisco Chronicle, especially the last piece on Section 377. As a queer food writer of color, how do you feel that the role of queerness and cultural diversity has changed in food media since you started A Brown Table? NS: Quite a bit. It’s in the confidence and boldness of queer writers of color, and the way they write with pride. Even though I was open about being gay, I was still nervous to discuss my queerness in a very public forum of writing when I first started. But over time, I also realized: I want people to see me for who I really am and that it’s okay for me to be vulnerable and to share my experiences. It’s these experiences which shaped the way I cook and the way I think, my motivations. This frank honesty has also led to the creation of a large and ever-growing community of queer and POC writers that’s friendly, welcoming, and supportive. You no longer have to navigate your way thinking you’re alone; it feels more inclusive. EK: What’s the greatest response to your book so far? NS: I think the best responses are the ones from the authors I’ve admired for so long, to be able to share my own book with them feels surreal. I’ve flipped through their books, splattered the pages with oil over time, and etched out little notes in pencil or pen. Diana Henry and Nigella Lawson are always amazing; they saw the book early on and even wrote blurbs for it. Yotam’s response was the most wonderful surprise I could honestly never have imagined. For me, I find it extremely humbling and encouraging when a highly successful author takes the time to read your book and is generous to spread the word. I’m not sure if they know this, but to a first-time author like me, just a tiny word of encouragement from them made me feel welcome and motivated. EK: What’s your stance on cooking for one and eating alone? NS: Gosh, I love to cook for myself; it can be very liberating and I encourage everyone to do that. For one, you have the freedom to do what you want, cook what you want, and eat what you want. Don’t get me wrong, I love cooking for and eating with my husband and family and friends. But sometimes, I want to eat something that might be perceived as ridiculous or crazy, so I do enjoy those moments to be whimsical. EK: Um, what’s the latest on the abandoned and hungry kitten you found recently?? NS: HAHAHAHA, my baby has been named. The vet gave him a clean bill of health and he is growing fast. When we found him outside our house, he was scared, gaunt, and would shake when he ate. Now he is on the prowl, running around the house, standing up to our other 2-year-old cat and 8-year-old dog. I’ve never had a kitten before (and honestly, I did not want another pet, but I just fell in love with him when we fed him and I couldn’t give him up). I have a strong feeling Drogy Ficus is going to be a bossy boy around the house, but then again even my other two pets boss me around. I just pay the rent. Recipe and photographs reprinted from Season by Nik Sharma with permission by Chronicle Books, 2018.